Have you seen Disney's BEAUTY AND THE BEAST? 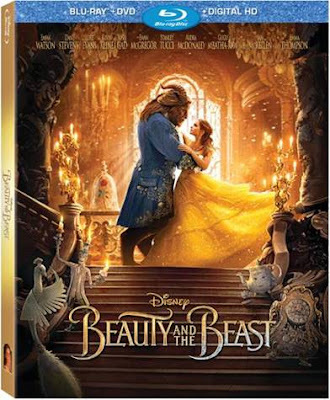 In celebration of Disney's BEAUTY AND THE BEAST coming out on Digital HD and Blu-ray on June 6, I am hosting a giveaway. Thanks to the sponsors for sending me 2 digital copies to giveaway to 2 lucky readers of Independentmami. Enter below. Good luck. 2 winners will be randomly selected. I would love to win this for my little bear! She loved the movie! "Rub a Dove, Dove #HEBBabyDove"
We haven't seen it!! Would love to win it for my beautiful mini-me my Cam would love it!! I haven't yet but I really want to! I have not seen this version and I want to win it for myself so I can watch it! Not yet, really want to though so I'd like to win this for myself! No we haven't seen this version of Beauty and the beast. We do own the animated version though. Would love to win this for my family. Have not seen yet, would like to win for my family. Have not seen this, would like to win for my family. Yes, I have seen the movie and I would love to win it for my kids who loooooooved the movie! I haven't seen the live action version yet, but my daughter would love it. I have not seen this version yet. I would watch it with my husband. Our first date was pizza and going to see the Lion King. I haven't seen this yet and I would love to win it for myself and my daughter to watch together! I have not seen the movie. I would love to win this for my friend Sarah. She is a huge fan. Yes, I ve seen the classic and enjoy watching with my two girls. We love this story! I would love to win this for our family collection! Thanks for the chance to win! I seen this and loved it! !Love to win this for my kids! I haven't seen the new one yet and I want to win it for me and my kids! I have not seen this. I would love to win it for my granddaughter. I have not seen it and I want to win it for myself. No, I've not seen this yet. I'd give it to my daughter. I have not seen Beauty and the Beast. I want to win it for me and my twin 11 year old daughters. I went to it in the theatre but would like to watch it with my granddaughter. I haven't seen it and I'd like to win it for myself. We haven't seen it yet and we really want to! I saw this and loved it! I would love it to watch with my girls whenever we want! I want to win this for myself, I love the animated version! Hope this one is just as good!